Furston is made from a fluffy white material with grey around his eyes, on his ears, on his back and on his rear legs. He has black button eyes and a black nose with black stitching for his mouth. Until I have to herd some sheep! Furston was released on 31st August 2006. His birthday is on 18th November 2005. 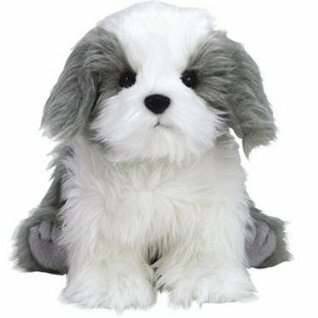 Furston is an Old English Sheepdog breed of dog. He was retired on 27th December 2007.